Comfy Guest House and Suite i Toronto, Canada: Reservér nu! 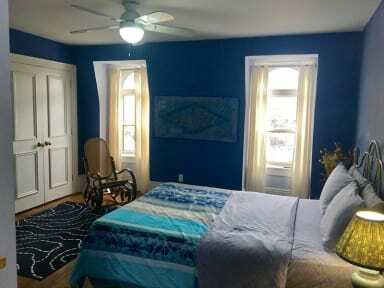 Comfy Guest House in Toronto provides competitive rates at high quality of service. We also provide a studio/suite. Our rooms are as low as $53/night. Rooms with attached washrooms are also available. The personalized service offered by us makes a vast difference for the level of comfort you will experience. We also order bed and breakfast services if you desire. Breakfast is offered at a small fee as the choice is yours! You should be rest assured that your comfort is our top priority. Enjoy Cable Television in your well-decorated private bedrooms along with Free Hi-Speed WiFi, refrigerator, AM/FM Clock Radio Alarm, Hair Dryer, free coffee, Iron and Ironing Board. We also have microwave oven, toaster, coffee maker and Telephones (Free Local Calls) at our guesthouse. The guest house is close to many attraction such as CN tower, Eaton Center, Yonge street, Roger Center, City of Toronto offices, Casa Loma, Royal Ontario Museum, Allen Gardens and much more! Both Univeristy of Toronto and Ryerson University are minutes away. To sum it up if you need to visit Toronto, our Guest House is the perfect place for you to stay. The check-in is by appointment only starting from 11:30am and ending 9pm. 17.5% tax is exclusive in the price.